Meet RA Sofa Clean, the company with more than 10 years of rich experience in the field of luxury, domestic and commercial sofa and upholstery cleaning and with more than ten thousands of new happy customers per year. We are happy to note that most of our clients come to us upon recommendations by other completely satisfied customers. Every feedback left about our work is important and moves us forwards. 96% of the feedback we receive is good. It is, of course, thanks to the expert teams of diligent and talented sofa and upholstery cleaners Shoreditch EC2 that work for us. They are all insured, well-trained, educated and gifted in what they do. RA Sofa Clean has been in the branch for about a decade. Our rich experience and high motivation have brought us where we are standing right now: on a leading position in the sofa and upholstery cleaning market. 96% of the feedback we receive is positive. And we always adopt customer’s opinion and recommendations in our progress and development plan. We believe your satisfaction is the perfect price we receive from our top-notched sofa and upholstery cleaning service in Shoreditch EC2! Order your premium sofa and upholstery cleaning in Shoreditch EC2 right away! Don’t waste time in scrubbing stains. And don’t waste your luxury furniture in keeping them dirty and dusty round the whole year. 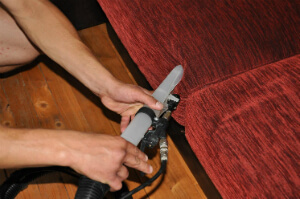 Better rely on the experienced and diligent sofa and upholstery cleaners. Invite them for an inspection on this phone number 020 3746 5234 right away!